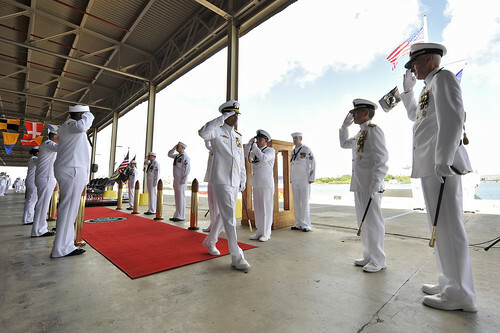 PEARL HARBOR - With the USS Arizona and Battleship Missouri Memorials as a backdrop, Adm. Harry B. Harris Jr. relieved Adm. Cecil D. Haney as commander of U.S. Pacific Fleet during a change of command ceremony on Joint Base Pearl Harbor-Hickam, Oct. 16. "Given the consistent message of our political and military leadership, I can stand on firm ground and predict that the U.S. will remain a Pacific power far into the future," Haney said. "It has been fantastic to see new capability join this vibrant theater … the new littoral combat ship, Virginia class submarine, EA-18 Growlers, MV-22 Ospreys, and MH-60 Romeo and Sierra helicopters." 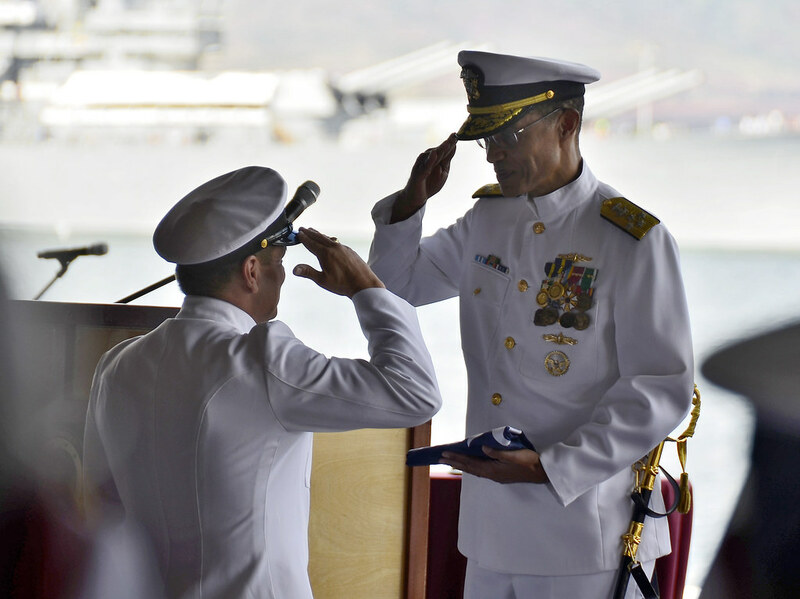 After reading orders and assuming command, Adm. Harris thanked the men and women of the Pacific Fleet saying: "What you do on a daily basis is of fundamental importance to our nation's defense -- I'm proud to be your commander." 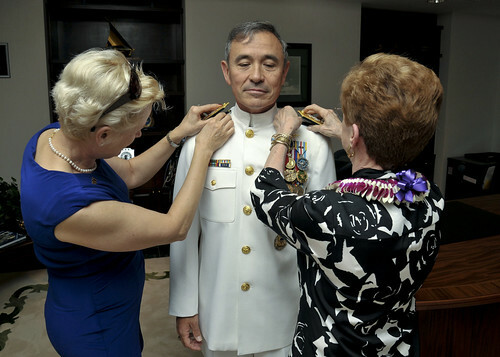 As the former assistant to the Chairman of the Joint Chiefs of Staff, Harris said he would continue the Pacific Fleet's commitment to the rebalance "with our brothers and sisters" in the Air Force, Army, Marine Corps, Special Operations and Coast Guard. 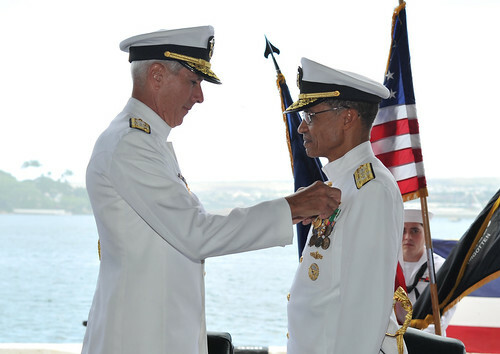 As commander of Pacific Fleet, Harris is responsible for 100 million square miles 'from Hollywood to Bollywood, from Antarctica to the Arctic Circle.' 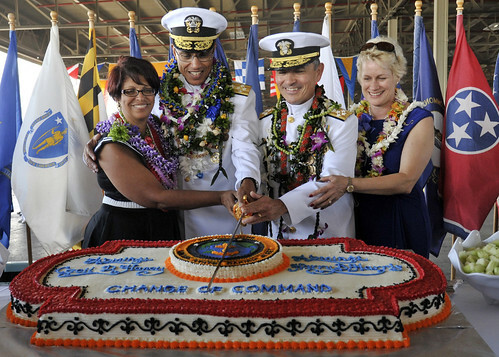 Covering more than half the Earth's surface, the Indo-Asia-Pacific region is vital to U.S. economic and security interests. 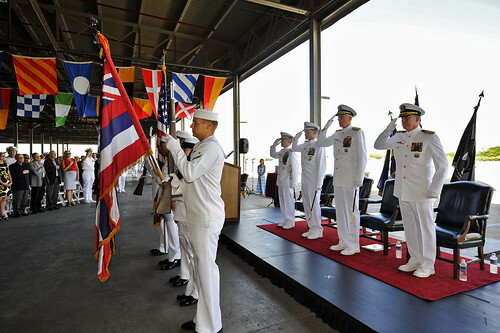 Pacific Fleet maintains combat-ready and forward-deployed naval forces that consist of approximately 200 ships/submarines, 1,100 aircraft and 140,000 Sailors and civilians. Whether called to fight and win or to protect the peace, Pacific Fleet operates alongside allies, partners and multilateral organizations to ensure a stable and secure Indo-Asia-Pacific where all nations can prosper.